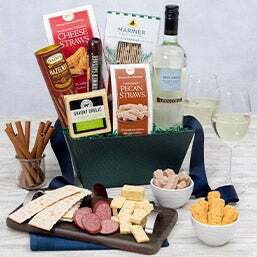 These thoughtfully arranged meat and cheese baskets will inspire your creativity as you sample all the delicious flavors that are artfully prepared for your tasting pleasure. 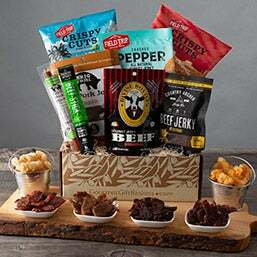 Give one a try, and you’ll agree that we have the best meat and cheese gifts and gift crates that are out there. 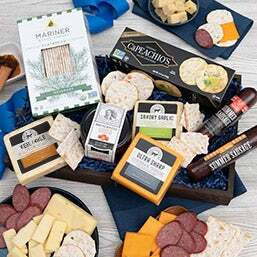 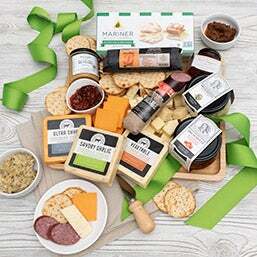 Our smooth Wisconsin and Vermont cheeses, responsibly-sourced summer sausages, and crisp crackers make all the difference in these gourmet meat and cheese gift baskets. 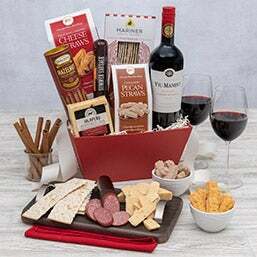 Charcuterie gifts, and meat and cheese platters make for a truly gourmet experience for the recipient. 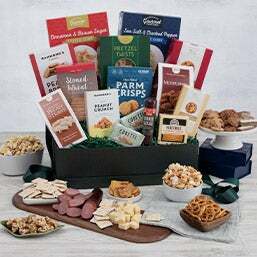 With brands like Stonewall Kitchen, and Cabot Cheese, you can’t go wrong with any of our divine cheese and meat gift basket selections. 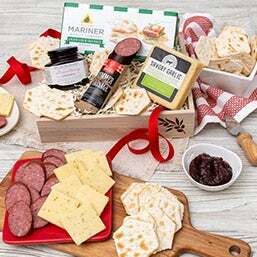 It’s never been easier to shop for online gifts, and that includes our line of meat & cheese gift baskets. 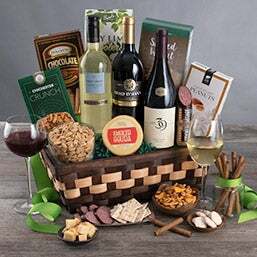 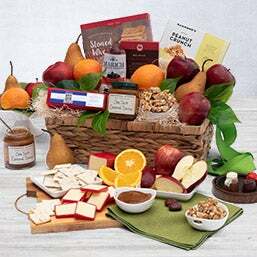 Keep in mind that many of our free shipping gift baskets are available to ship today (Monday-Friday), and be delivered to your recipient the following business day! 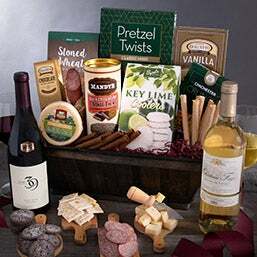 No matter what time of year it is, we have all the holiday gift baskets for any occasion. 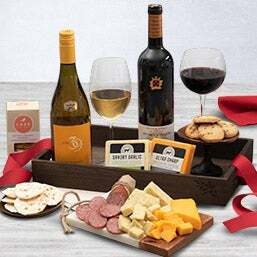 We have gifts for men, gifts for women, gifts for kids, and holiday gifts covered.